Monetary Authority of Singapore (MAS) is riding the digital wave to transform Singapore’s financial sector. Building on its core role of ensuring Singapore’s economy remains dynamic, competitive and progressive, MAS has tapped into advanced technology and big data to further expand its financial frontiers. 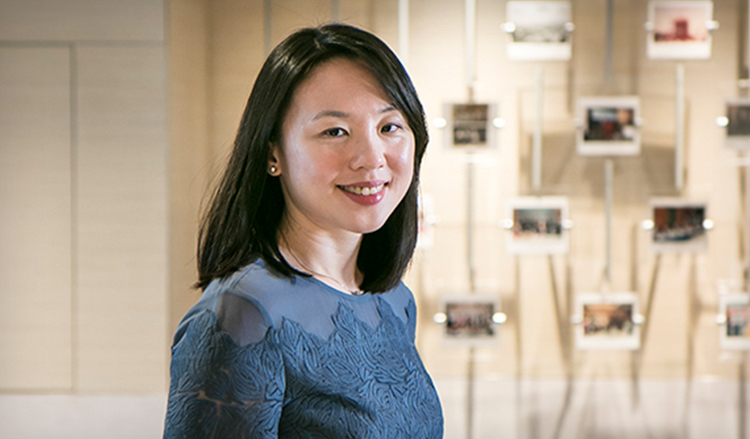 We speak to past MAS scholar and Lead Economist, Lee Su Fen, about her fruitful journey thus far. Share how you have developed since joining MAS. I came to MAS on my first day of work armed with engineering degrees and little knowledge about bank operations, financial risk management and monetary policies. A combination of learning on the job and “studying” for over more than ten years in MAS has helped me build up my domain expertise in the financial sector. As MAS is ramping up its use of advanced analytical tools, I am thankful that my engineering background has allowed me to be comfortable handling complex mathematical formulas and picking up new programming languages. How is technology changing the way MAS works? MAS has begun to use technology and analytics to enhance the way we do our work. For example, we have used interactive visualisation tools to analyse datasets, and network analysis to better understand interconnections amongst financial institutions and borrowers. We are planning to do more. Earlier this year, MAS set up the Data Analytics Group to catalyse further digital transformation in MAS and the financial sector. MAS will be applying advanced analytical tools like machine learning and natural language processing to generate more data-driven insights and enhance the way MAS does its work. This ranges from implementing monetary policy to supervising financial institutions. What characteristics must an MAS officer have to be part of this transformation? Specifically for data analytics, if you are detail-oriented, feel comfortable dealing with data and have some programming experience, you should have no trouble keeping pace. Applying data analytics within an organisation like MAS means that you also need to have a curiosity for economic and financial issues, and have the public interest at heart. These principles will underpin your decisions and what you choose to do with the results coming out of any analytical tool.